Socialmaharaj is one of leading Bloggers in Hyderabad. The blog is attributed to some of the finest of Travel, Technology, Food and Lifestyle posts. Featured among the Top Hyderabad Bloggers, Socialmaharaj is a leading Influencer in various fields. 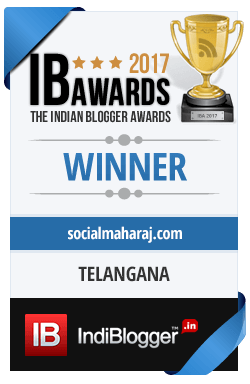 Being one of the Top Hyderabad Blogger, we at Socialmaharaj believe that blogging is all about helping people out there with all the information we have. If you feel that you can collaborate with us, get in touch and you shall not regret ! Engineer giving talk on Biryani ! Team India's same habit continues.